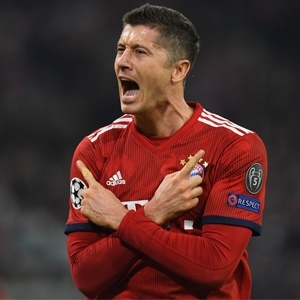 Berlin - Robert Lewandowski saved his team from a humiliating German Cup exit as Bayern Munich came from behind to beat second-tier Heidenheim in a 5-4 thriller on Wednesday. Yet Lewandowski's late winner ended a rollercoaster resistance from Heidenheim and sent Bayern into the semi-finals. "I don't really know what to think of this game," said Bayern striker Thomas Mueller on Sky Sports. "After such a great start, it should have gone differently for us. We didn't play well, particularly after the red card, and it doesn't feel all that good." Mueller brought Bayern level after half-time, turning in Lewandowski's header with a marvellous, swivelling finish.